This is what I call a ‘No Guilt’ Treat! 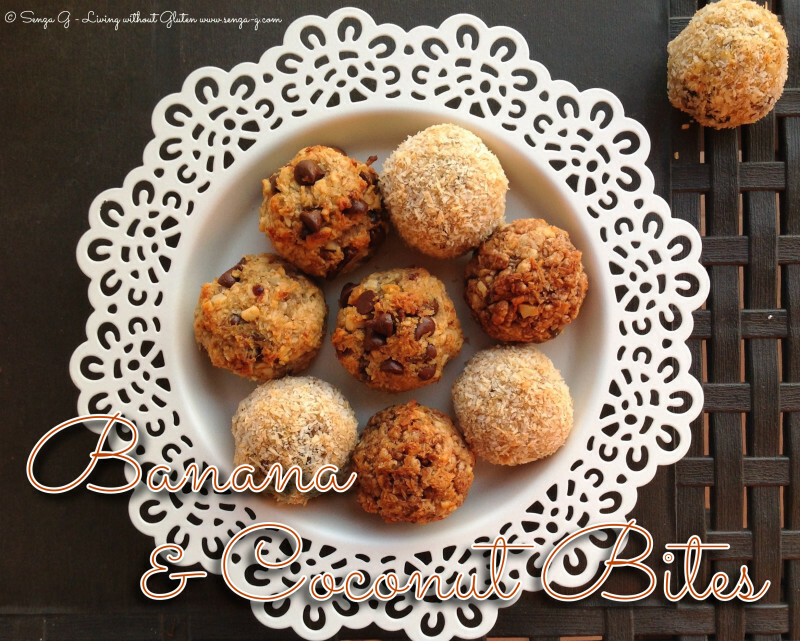 These tasty bites cannot be simpler to make … and they cannot be healthier! If made with just the basic ingredients, ie without adding the chocolate chips or the Choc Rice Krispies, they can also be enjoyed by those who cannot tolerate lactose or are trying to reduce their sugar intake. Mash the banana in a bowl and start adding the dessicated coconut till the mix holds together. Add the honey, if using and add also the chopped dates and the chopped nuts you are using. You can now either make them plain or else divide the mix into three bowls. Take teaspoonfuls from the first bowl, form a small ball and roll in the extra dessicated coconut. Place on lined baking sheet. Do the same with the rest of the mix. In the second bowl, add the rice krispies and do the same, roll into balls and place on the baking sheet. Same thing with the third bowl. Add the chopped chocolate and roll into balls. Place in the oven and bake till they start to turn slightly golden.